Upper Union Street Strawberry Fest Returns on June 18! 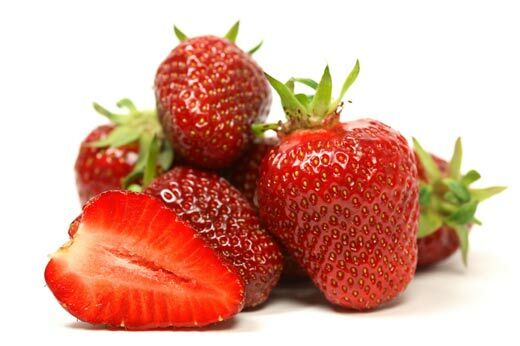 Upper Union Street, Schenectady’s 5th Annual Strawberry Fest & Art Show is a feast for berry lovers of all ages on Saturday, June 18 from 10am – 3pm. A wide range of “berry good” menu items (sorry- I’m just copying from the press release!) at Upper Union Street’s wide range of restaurants and retail stores include both Italian- and American-style strawberry shortcake, chocolate covered strawberries, strawberry pie, strawberry rhubarb pie, strawberry jam, “berry” tea (the tea expert at Divinitea says strawberries just don’t cut it in tea), strawberry gelato, strawberry cobbler, angel food cake with berries, strawberry lemonade, and strawberry tarts. There will be lots of tasting samples, too – strawberry salsa, bagels with strawberry cream cheese, strawberry ice, and (for your four-legged barking friends) strawberry shaped dog biscuits. If you don’t care for strawberries, you can still get a taste of some great food along Upper Union Street: several Italian restaurants, an Irish Pub, a Jewish Deli, California style burritos, several Asian restaurants (including Mr. Wasabi, with Japanese preparations), and standard American fare. Admission is free, as is parking. More information at www.upperunionbid.org or on their Facebook page. Previous Previous post: Schenectady is Brewing Again! It was a pleasure meeting you, too!